The Ottoman is a piece of furniture that delights in being alone with you. It responds to affection but is shy when it encounters multiple people. 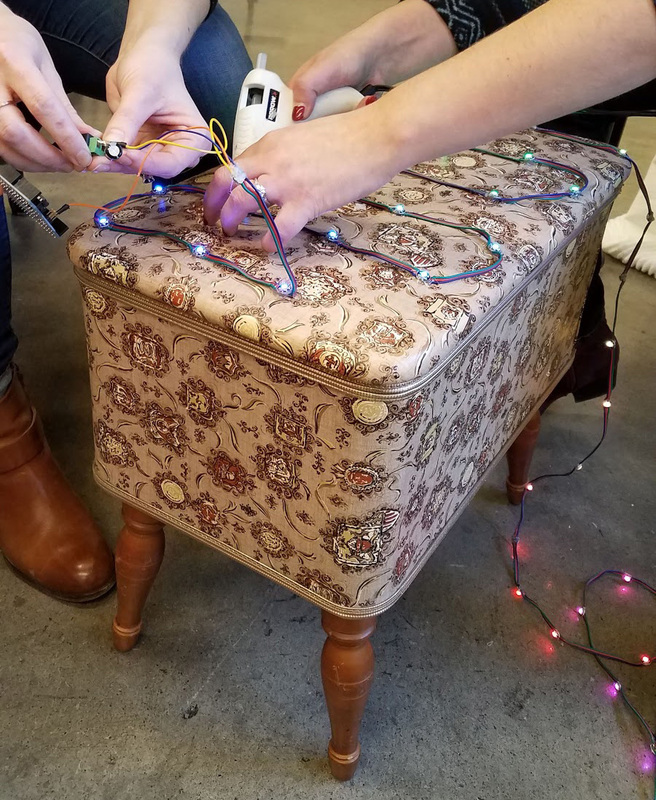 Physical Computing is a class that focuses on learning how to use simple sensing and processing features with the Arduino in order to create furniture with quirky capabilities. ‍Objective: To design and build a piece of furniture that senses something about its environment and produces an output. 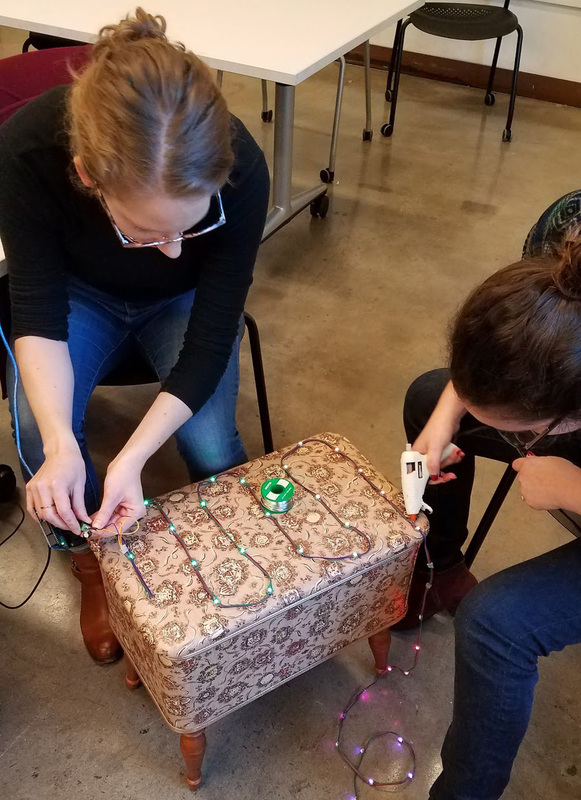 ‍Solution: An ottoman that explores the relationship you (and only you) have with your objects and what that can mean for the way you treat your other connected objects. Two lasers are pointed at photoresistors across the doorway. The Arduino can count how many people enter and leave the room through the photoresistors detect the light (or lack thereof) from the lasers. There are several capacitive sensors on the ottoman that activate when you are alone in the room with it. 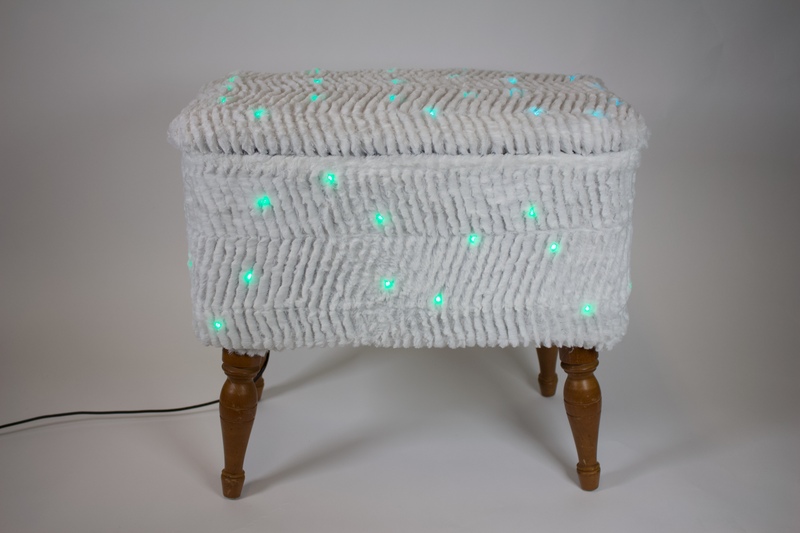 The sensors also react differently the longer you pet the ottoman in certain spots. Get a birds-eye-view of your presentation through the stage console. We had to gradually build up our skills using the Arduino, so we started out with some basic maneuvers that could scale as we progressed through the quarter. 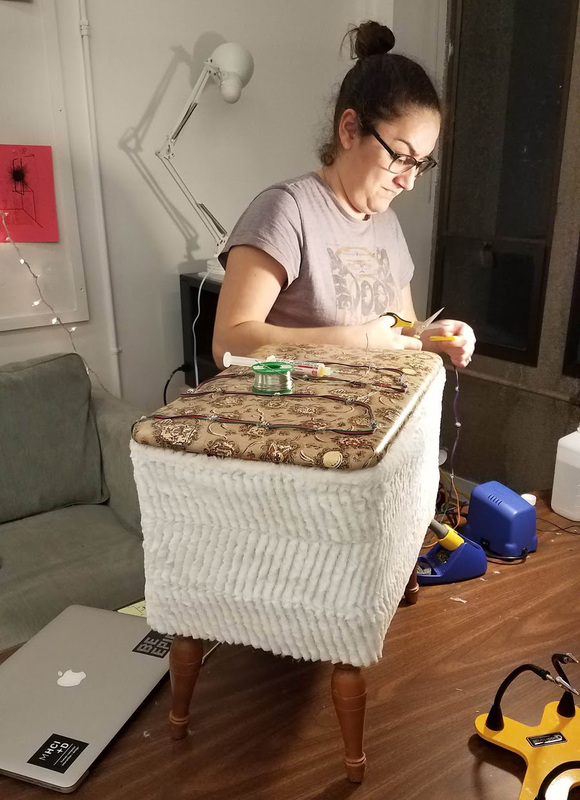 Initially we wanted to detect people getting closer to the ottoman through the ultrasonic sensor. We made this circuit to recognize when somebody would get close to it and react by switching LEDs. We knew we wanted a capacitive touch sensor, so we started experimenting with two bare bones foil versions. 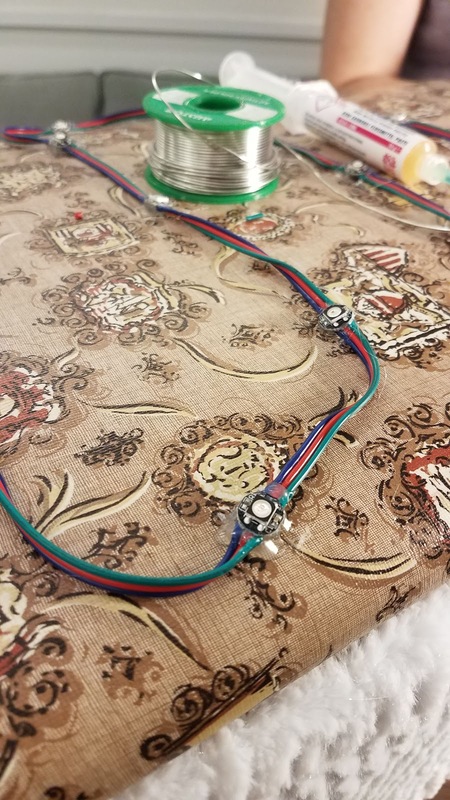 We also found out that the order and amount of code is important for the Arduino—the halfway lit LED is the result of too many things the Arduino had to process before the capacitive sensor from the first piece of foil was sensed. We used addressable LEDs to make up our output light component. These LEDs require solder points for ground, power, and data wires. We were new to soldering, so there was a learning curve in soldering the 51 LEDs we needed together. 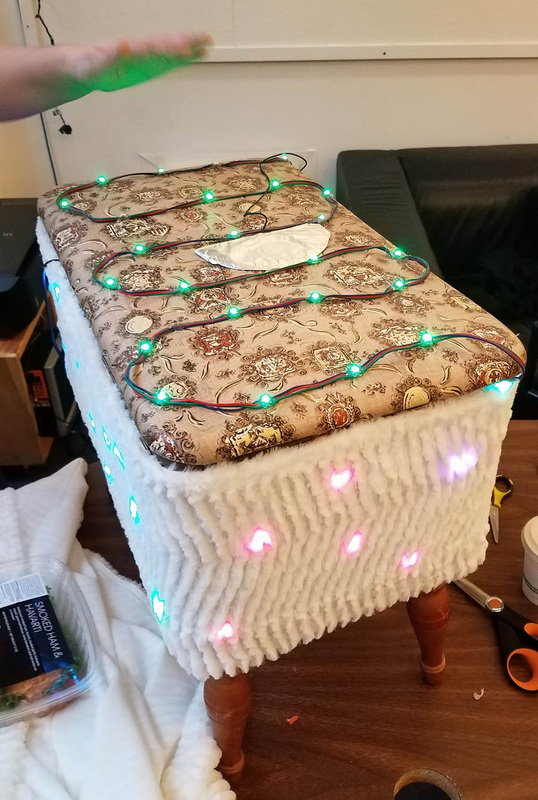 We hot-glued all of these LEDs onto our ottoman. 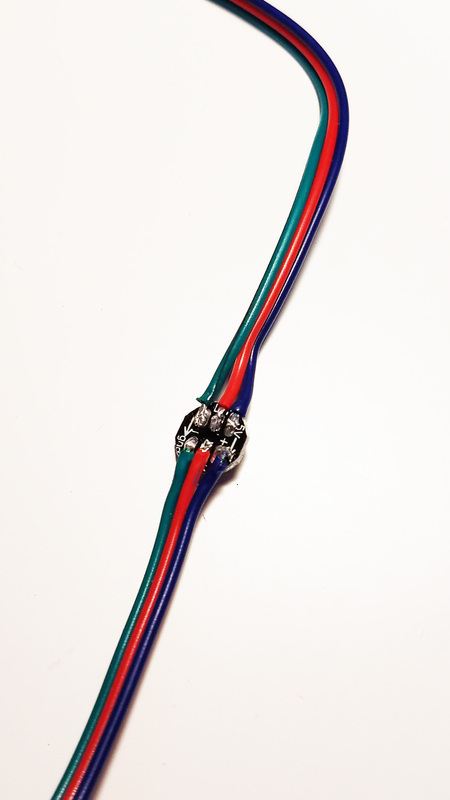 This was an ongoing process as weak soldering points would cause outages. These had to be unglued, re-soldered, and re-glued. 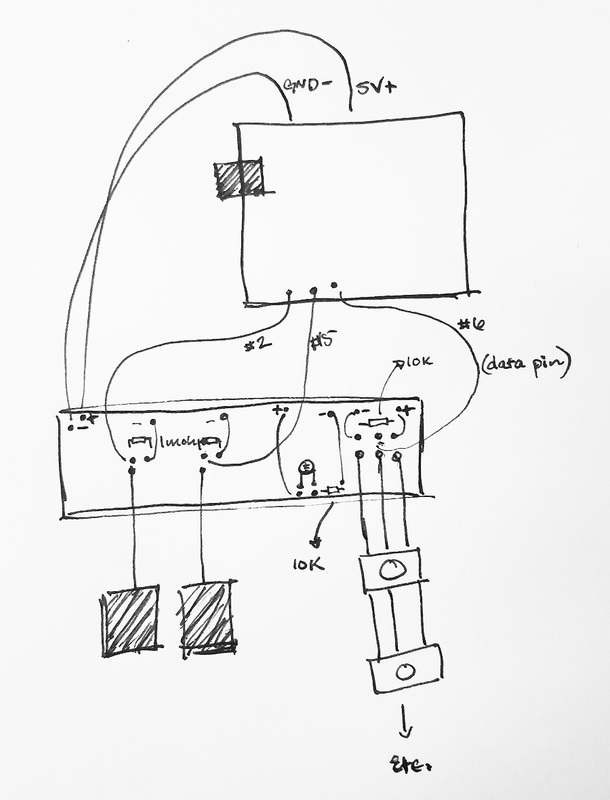 These sketches show the jump from working with the breadboard to soldering the resistors and all the wires together. 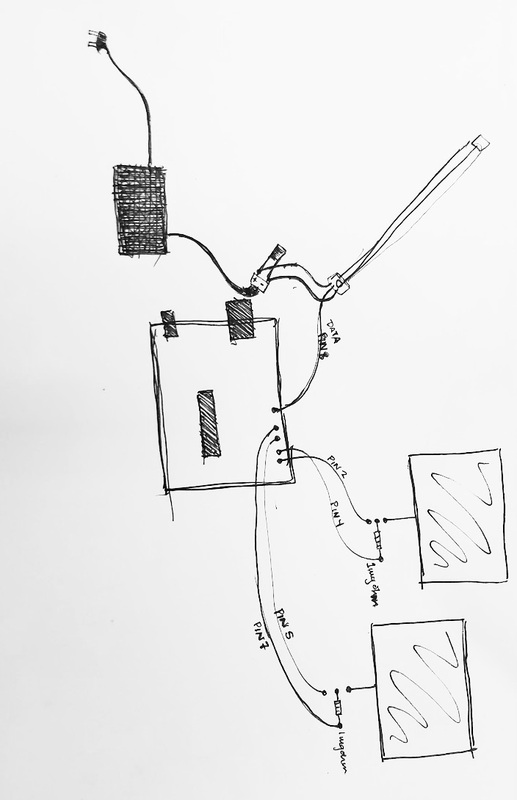 Our capacitive sensors were made out of cardboard and foil, then hooked up to the Arduino with 1 mg ohm resistors.